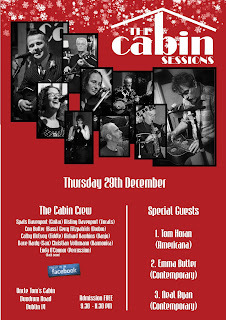 Just a quick e-mail to say Happy Christmas to all our supporters and to let you know that we'll have a December Cabin Sessions on Thursday 29th! 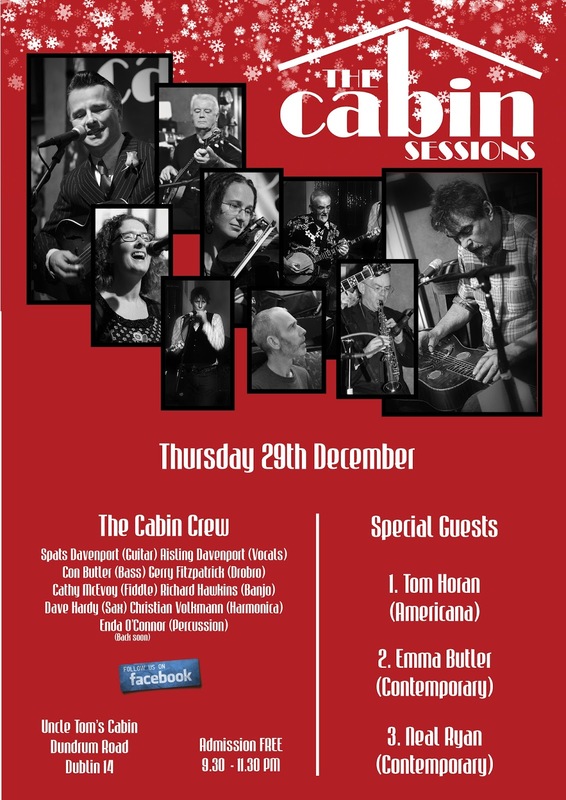 Guests will include Emma Butler (contemporary), Tom Horan (Americana), and Neal Ryan (contemporary). Hope to see you there and best wishes to y'all for Christmas and the New Year.